Internet searches based on “pay per” actually allow you to get traffic without having to test a marketing method whose results tend to be uncertain. Pay per click advertising involves paying for every click on the ad that you have set for your site or your particular web sites. When you start a pay per click campaign, you have to set your goals, and then prepare a budget appropriate for those goals. Naturally, like most means of paid traffic, the more you spend the more you get. This does not necessarily mean better conversions. There is a lot of testing that goes into a PPC campaign, and it is highly recommended to start slow and slowly increase the budget as you see results. If, for example, your website’s subject is computer maintenance, pay per click ads can appear on a web page with information on computers. Your website will also appear on the top and right side of any search results related to your keywords. This ensures that you are on the first page when potential clients are searching for your services or products. Before you start your pay per click campaign you should work on your organic Seo because it is always important to have natural search traffic. It is also important for your website to have a Google Places Listing, a Google Plus Profile and get listed on as many local directories as possible. These are all important aspects of local seo. This is important to get lots of visitors without having to spend money on a marketing campaign. You need to use an excellent SEO tactic. Through SEO, you will be able to get your site listed on the first web page of search engine results for particular keywords. Search engine optimization tactics along the lines of creating a positive key phrase, makes pay per click appear as a big boost for your website, which can allow you to achieve that rank. The acquisition will also increase your sites ranking for pay per click, which uses an entirely different algorithm. Advertising on the Internet is now more important than ever, especially when the Internet and its users are growing rapidly. You can advertise on the Internet in a number of ways, including search engine optimization, pay per click (PPC) advertising, etc. However, all options considered, the most important and most common strategy is PPC marketing because it delivers immediate results. In order to create a successful marketing campaign on the Internet, in-depth knowledge is necessary. If you want to get a return on your investment, you have to use certain strategies and tools to make it happen. If you do use professional PPC services, you will be able to maximize the benefits that come out of your PPC marketing campaign. You need to find an expert who is well versed in internet marketing and has a good track record and reputation. The expert makes a campaign based on the budget, then analyzes and investigates the keywords to ensure that your website will be able to compete with any tough competition. If necessary they must use different strategies to make your PPC campaign successful. 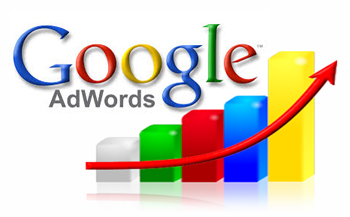 Professional PPC Services can bring your website great results online. PPC Management, along with search engine optimization can be very profitable, building an identity and generating leads to your website and online business. This is usually what PPC service providers offer their customers. The success of any marketing campaign is dependent on good strategies and decisions. PPC marketing is no different. There are rules and procedures that must be implemented for success. PPC service providers perform tasks such as recording the conversion rates of your website to see how much traffic actually generate sales, where the traffic comes from, and what they want on your website. PPC campaigns need to be followed up with regularly, even on a daily basis. Only then will you be able to understand how to improve the campaign and to generate more traffic to your website, while increasing conversion rates. PPC Service providers know all about this. They know exactly where to place your ads. They know how to increase the conversion rate or keep it stable, if necessary. Examine where your traffic is coming from and try to use the source as much as possible. How To Choose A PPC Service Provider? When a PPC service is used, it is recommended that you choose a company that has experts with extensive experience that has worked for other companies in the past. You can look at the experience of the company and even get feedback on how well they have managed the campaigns of other clients. You need to consider your budget as well. A company that has a good record is a good choice for your internet marketing business. In conclusion, PPC services can help you because they know strategies and tools that will do wonders for your website and will bring a good return on your investment. It may seem very simple to do this on your own, but in reality, a service provider is required to do the task for you.